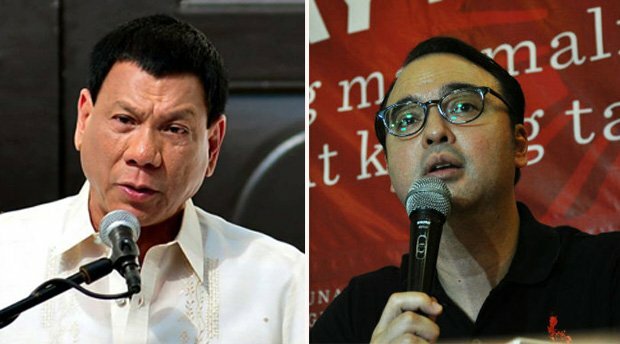 The tandem of Davao City Mayor Rodrigo Duterte and Senator Alan Peter Cayetano vowed to give additional compensation to public school teachers, hitting the proposed Salary Standardization Law (SSL 2015) in giving meager sums for the country’s government workers. In a statement on Sunday, the presidential and vice presidential bets of the Partido Demokratiko Pilipino-Lakas ng Bayan (PDP-Laban) promised, if elected in the 2016 elections, to grant an additional P10,000 compensation on top of the increase under the SSL for teachers. Cayetano further called the sums under the proposed SSL 2015 as “inconsiderate” and “negligible” for public school teachers because it only grants an increase of P2,205 from the current salary grade of P18,549, or a 12 percent increase spread over a period of four years. Under the SSL, the pay for Teacher 1 would increase to P19,077 in the first year of implementation in 2016, P19,620 in 2017, P20,179 in 2018, and P20,754 in 2019. Cayetano said this means the annual increase is only at P500, making it the lowest in history. “Instead of repairing the government’s erroneous compensation scheme for teachers, which past and present salary laws classified teachers as among the lowest paid government professionals, its proposed salary increase only reinforced this flawed system,” Cayetano said. “This [is] what Mayor Duterte and I want to end. We will restore the dignity of the teaching profession. No more cheapskate wage increases which do not address burdensome taxes, cost of living and living conditions in general,” Cayetano added. Cayetano said the additional P10,000 compensation is a provision in his proposed Senate Bill 94, which grants public school teachers, locally-funded teachers, non-teaching personnel, and non-teaching personnel of the Department of Education additional compensation. Congress failed to pass the proposed SSL 2015 before it had its Christmas break this year. The House of Representatives has yet to ratify it because the Senate has not passed it yet on third reading. Congress will pass it on final reading when it resumes from break on Jan. 19, 2016. The SSL 2015 seeks a P226-billion compensation hike for the government’s 1.53 million civilian and military and uniformed personnel spread out in four tranches from 2016 to 2019. The compensation package is composed of a salary increase, a mid-year 14th month pay and an enhanced performance-based bonus (PBB) system. The salary hike would increase the basic Salary Grade 1 from P9,000 to P11,068 a month. Under the bill, the lowest salary grade, Salary Grade 1, will be raised to about 154 percent of the market. On the other hand, the highest salary grade belonging to the President will be about 70 percent of the market.